>> Study Rectification of Errors detailed explanation, examples. Following accounts are used for correction and adjusting the transactions. >> Do Practice Rectification of Errors MCQs. (i) Sale of old furniture for Rs. 2,000 treated as sale of goods. (ii) Rs. 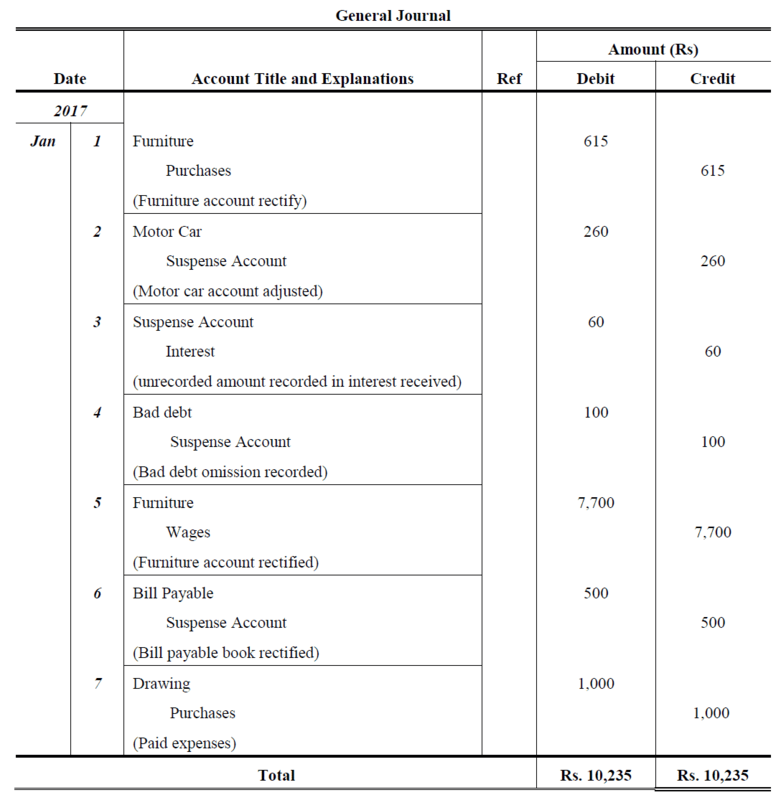 12,000 paid of salary to cashier Mr. Naeem, stands debited to his personal account. (iii) An amount of Rs. 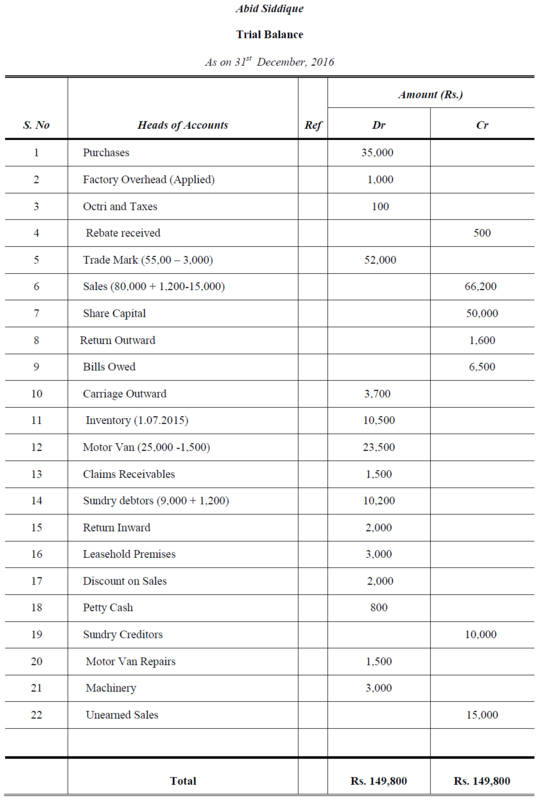 5,000 withdrawn by the proprietor for his personal use has been debited to trade expenses a/c. (iv) Cash received from Mr. Bilal Rs. 300 was credited to Mr. Baber. (v) Repairs made were debited to building account Rs. 100. (vi) Rs. 1,000 received as interest was credited to commission account. (vii) Rs. 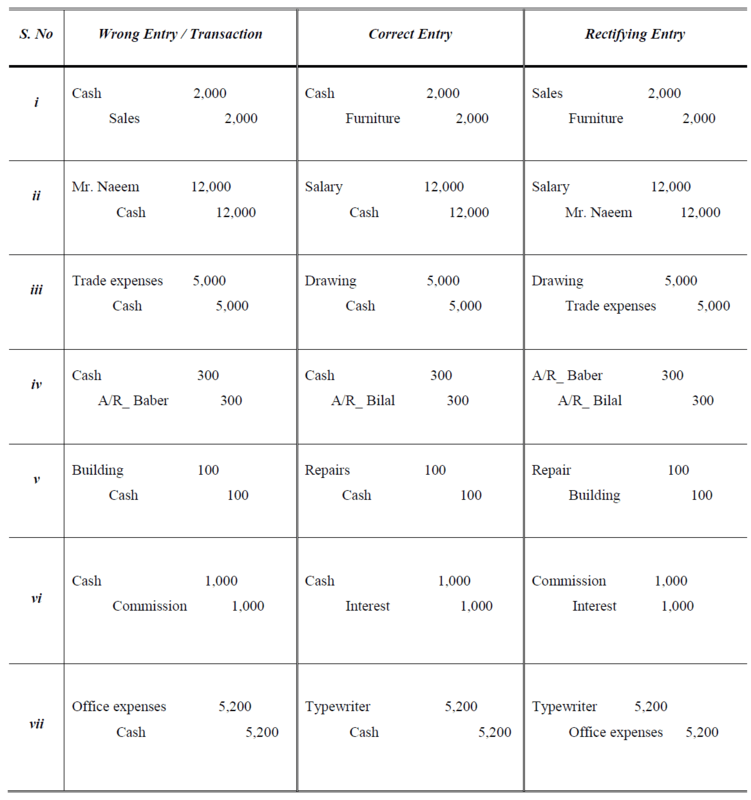 5,200 paid for the purchase of typewriter was charged to office expenses account. >> Practice Journal Entry Problems and Solutions. i. Purchase of goods from Mr. Raees amounting to Rs. 25,000 has been wrongly passed through the sales book. ii. Credit sale of goods Rs. 30,000 to Mr. Anees has been wrongly passed through the purchases book. iii. Sold old furniture for Rs. 3,500 passed through the sales book. iv. 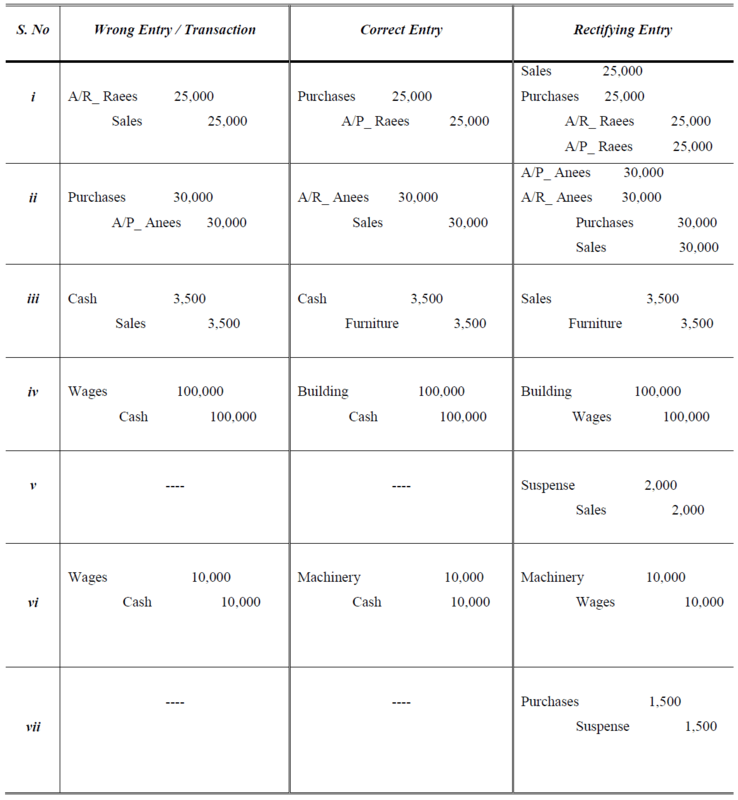 Paid wages for the construction of Building debited to wages account Rs. 100,000.
v. The sales day book is undercast by Rs. 2,000.
vi. Paid Rs. 10,000 for the installation of Machinery debited to wages account. vii. The purchases day book is undercast by Rs. 1,500. >> Golden Rules of Accounting. 1. Purchase of furniture for Rs. 615 passed through Purchase Book. 2. The motor car had been purchased for Rs. 3.400. Cash had been correctly credited but Motor Car account had been debited with Rs. 3,140 only. 3. 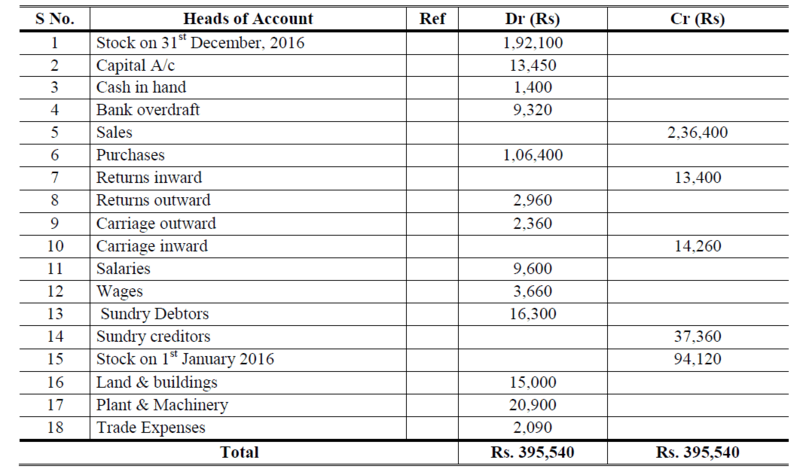 Interest on deposits received Rs. 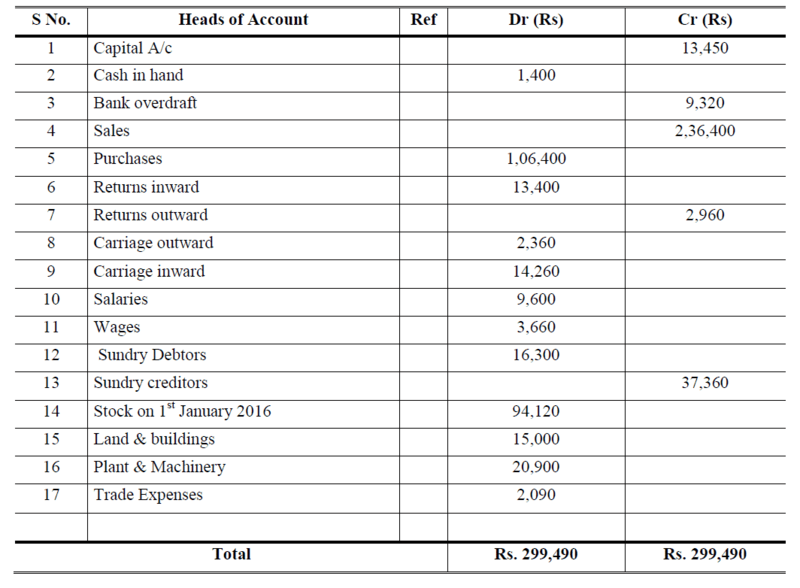 60 had been debited in cash account, but had been not credited to the interest account. 4. 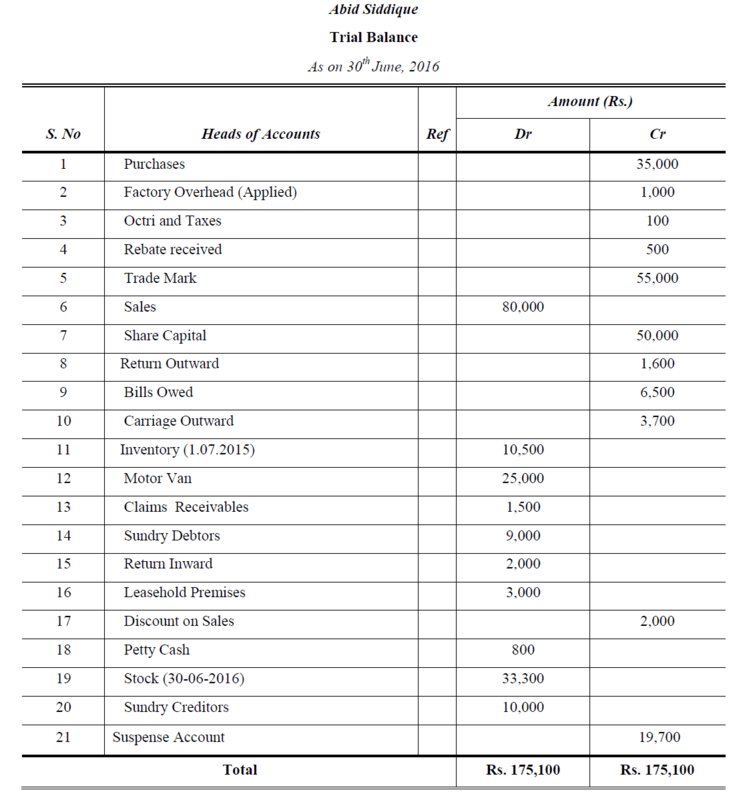 The balance in the Account Receivable_ Ali Rs. 100 had been written off as bad but no other account had been debited. 5. Rs. 7,700 paid for wages to workman for making showcases had been charged to wages account. 6. Bill Payable Book overcast by Rs. 500. 7. Goods purchased for proprietor’s use for Rs. 1,000 was debited to purchase account. >> Further study Adjusting Entries Problems and Solutions.